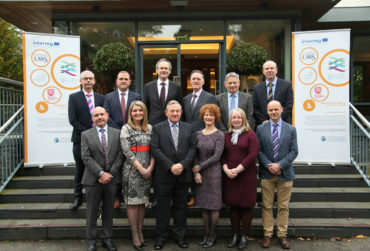 The BREATH project signifies a strong cross-border partnership between the Smooth Muscle Research Centre (DkIT), the School of Pharmacy and School of Medicine, Dentistry and Biomedical Sciences (QUB) and the Institute of Biomedical & Environmental Health Research (UWS). 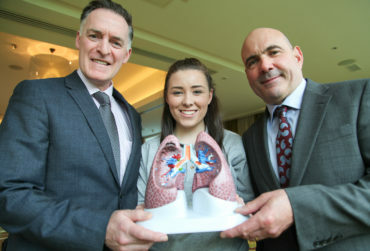 BREATH (Border and REgions Airways Training Hub) is an ambitious, collaborative research Partnership that will harness complementary resources & expertise of 10 Principal Investigators from DkIT, QUB & UWS with a mission to tackle Chronic Obstructive Pulmonary Disease (COPD), an incurable lung disease, highly prevalent in the border regions of Ireland & Western Scotland. 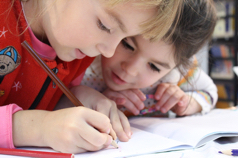 €7.7 million has been offered under the European Union’s INTERREG VA Programme for a pioneering cross-border research project, designed to better understand and alleviate the impact of chronic obstructive pulmonary disease (COPD). 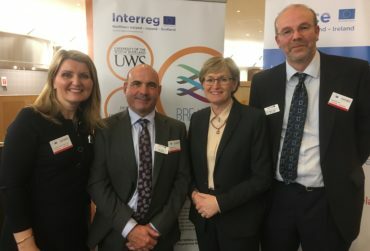 The BREATH (Border and Regions Airways Training Hub) project, which is a cross-border partnership between Dundalk Institute of Technology, Queen’s University Belfast and the University of the West of Scotland, has been shortlisted for a Northern Ireland Healthcare Award.